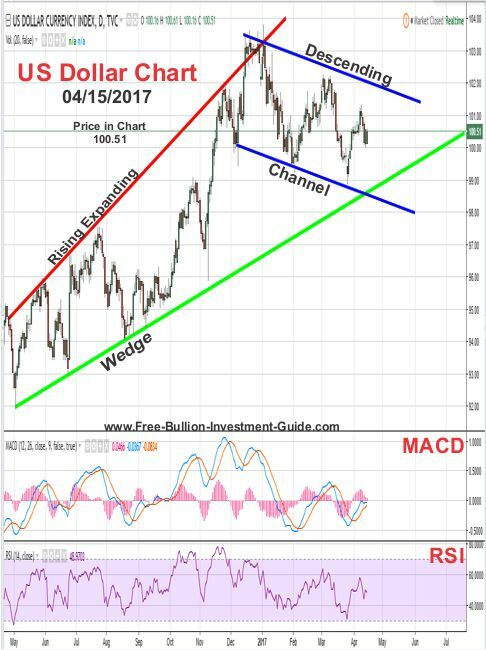 Thank you for visiting the Free-Bullion-Investment-Guide's latest blog post, I hope that you and your family had a Happy Easter. GOLD NANOTECHNOLOGY : CANCER RESEARCH : Medical News Today - Nanoparticle Nasal Spray May Offer Rapid and Safe Delivery of Drugs to the Brain - gold nanoparticles have emerged as the material of choice for drug delivery. They are relatively easy to synthesize and customize, and they have good biocompatibility. 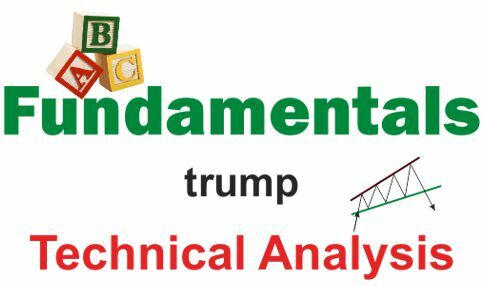 In last week’s post (seen here), I briefly wrote about the fact that ‘Fundamentals trump Technical Analysis,’ but when I wrote it the last thing I thought was that it would be the title of this week’s post. When I wrote the phrase, I was writing about Janet Yellen’s speech and how it could affect the precious metals markets, but the speech didn’t move them at all, instead, it was the drums of war that caused the precious metals markets to move higher. In addition to the military moves last week, President Trump also helped precious metals climb after he made the comments about the US dollar being ‘too strong’ and that he prefers low-interest rates. 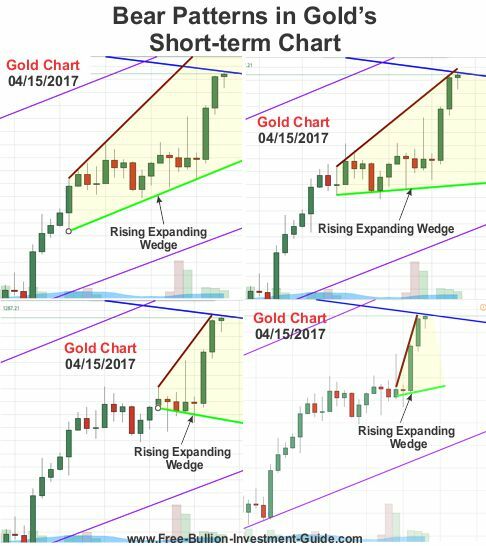 In my chart analysis last week, I showed that both gold and silver are now trading inside a bearish pattern called a 'Rising Expanding Wedge'. Note: Click the chart (to the right) of a 'Rising Expanding Wedge' for Forex-Central's definition of the technical pattern. However, last week the precious metals didn't move in the way that these patterns indicate. These fundamental truths will continue to move more investors into the precious metals as long as they persist, but once the tension breaks, the bear patterns in the charts will take a more prominent role in price movement. This weekend, I have studied the gold and silver charts thoroughly and can only find one negative (bear) pattern after another. 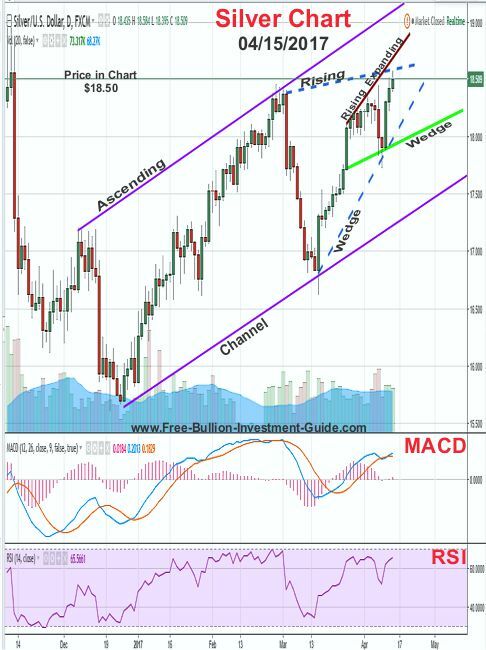 See the silver and gold cluster charts below. 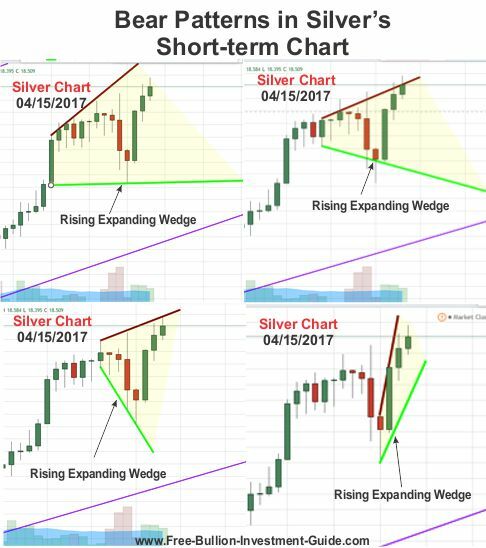 After I created the two cluster charts above of the repeated 'Rising Expanding Wedges' in both silver and gold, I found another negative pattern in their charts, which are shown in the charts below. Before we move on to the individual precious metals charts, I do want to say that the precious metals confirmed last year that they are in a new bull market; this was shown in the 'Gold and Silver 2016 – Bull Market Wins' blog post. Therefore, even though a pullback in price is expected sometime in the near future after they do so, gold and silver should continue to move higher. 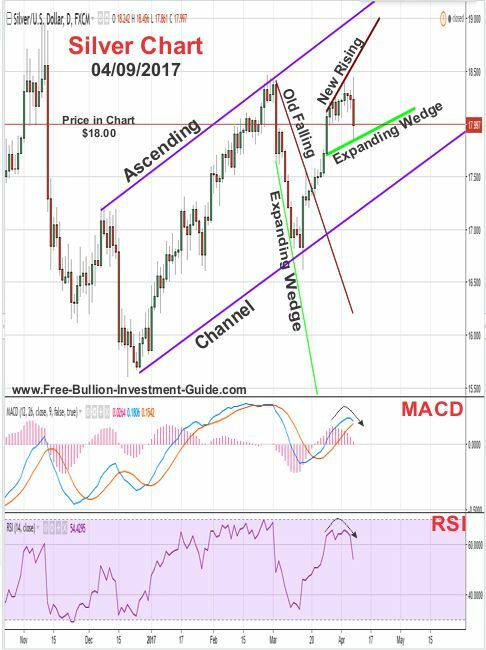 In last week’s silver chart, (below) it showed that a pullback was expected not only because of the ‘Rising Expanding Wedge’ but also because it looked like the MACD and RSI (lower indicators) were going to continue to fall. That didn’t happen, instead, Fundamentals trumped Technical Analysis and the price of silver climbed in response to last week's current events. I tried not to make the chart below look too confusing, but the ‘Rising Expanding Wedge’ is indicated by the solid lines and the ‘Rising Wedge’ is indicated by dotted lines. Both patterns are negative (bear) indicators that will continue to loom over the price of silver until either the fundamentals push the price higher, destroying the negative technical patterns or the price pulls back confirming them. 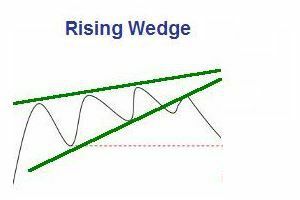 Note: Click the chart (to the right) of a 'Rising Wedge' for Forex-Central's definition of the technical pattern. 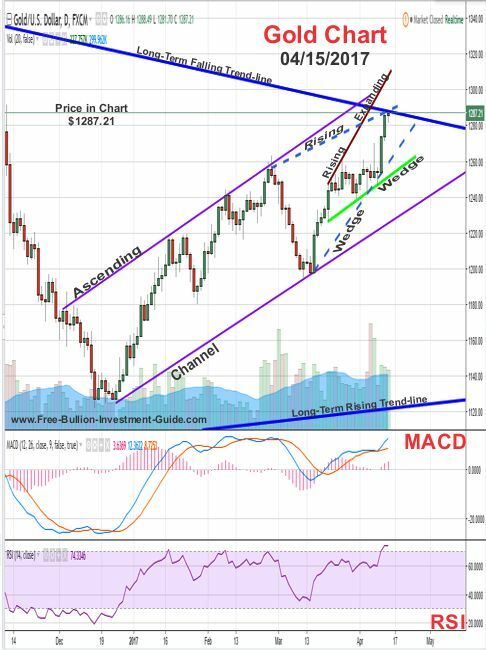 This week's gold chart (below) is filled with trend-lines. Last week, gold’s price rose with the news of war and the President saying he preferred a weak dollar. 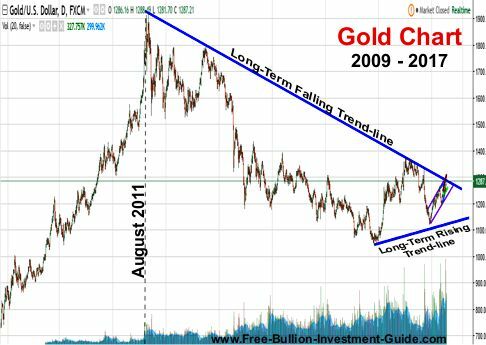 As the price of gold rose, it hit its Long Term Falling Trend-line, to see how "long-term" this trend-line is, take a look at the chart below this week’s chart. When (not if) that trend-line is broken, you will hear about it in several financial news outlets because it will be a major bull signal to traders. This week, if militarily tensions continue to rise, we may see gold break above this level, but if we don’t then the technical patterns in gold’s chart may take over and we may see the price of gold pullback this week. Time will tell. Last week, the US Dollar didn’t break its previous high and it isn't giving much of any indication on its future direction. 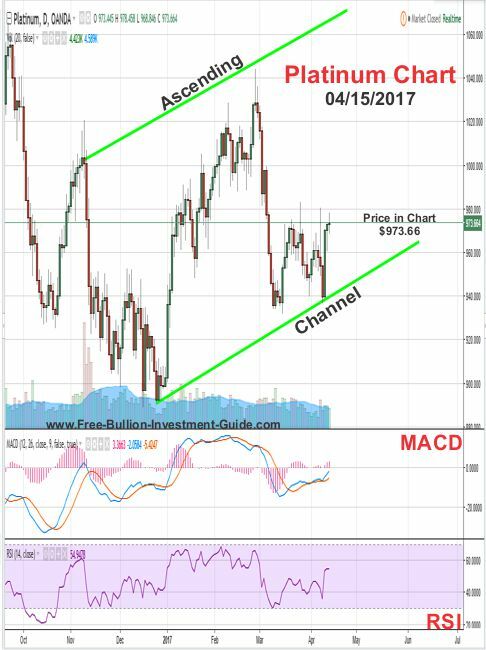 Last week, the price of platinum tested and slightly broke the bottom of the Ascending Channel. But, I decided to adjust the bottom of the channel; I did this because the adjustment did not compromise the integrity of the ascending channel, if it had I would have removed it. This week, platinum’s chart isn’t offering much of an indication as to which direction it will move, but it continues to look like it will trade inside the ascending channel. 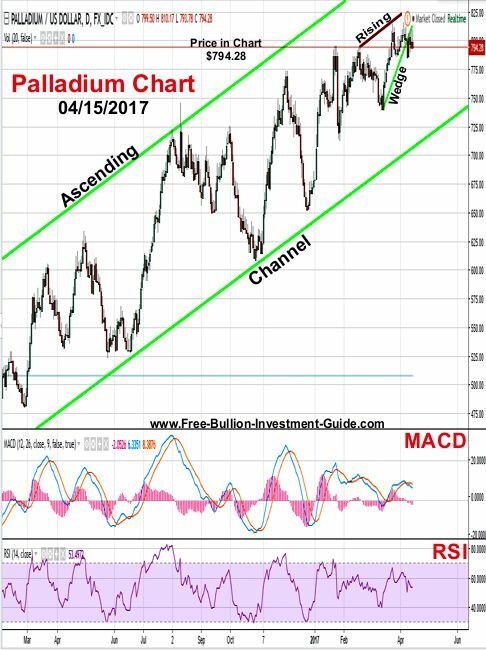 In last week’s post, I posted the chart below that indicated a 'Rising Wedge' (bear pattern) had formed in palladium’s price chart. 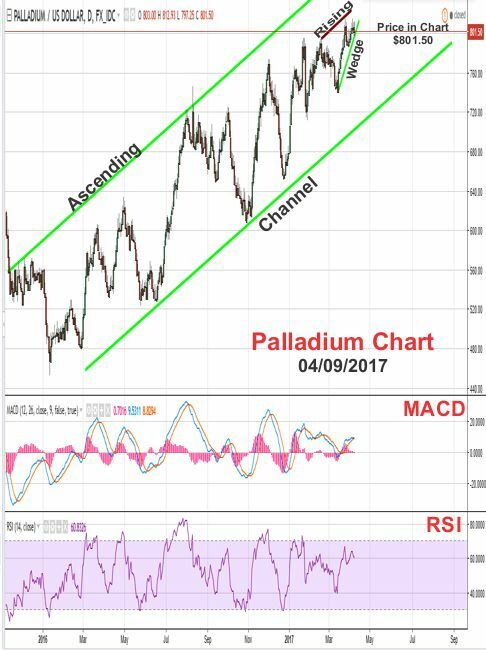 This week, the chart below shows that the price fell below the rising wedge; in addition, Palladium’s MACD and RSI (lower indicators) are showing that the price may have a little more room to fall before it finds support. If you have been a long time visitor of this blog, you know that sometimes I post music because (when I can) I like to listen to music when I work. Lately, I’ve been listening to a lot of Bob Moses, here's one of my favorites.